Stitch & Story are changing the way crafting is done. They supply all-in-one knitting kits, online tutorials and hold London knitting workshops. They are passionate about revamping knitting as a simple, modern and aspirational skill. Stitch & Story believe in the power to create, personalise and achieve something meaningful by bringing out the artisan in everyone. Lovely class but when I got home I had forgotten everything 😑 also you don't get to make anything to take back. I would have liked to start à project or something to finish later. Great cakes and location. Really helpful in learning 2 simple stitching techniques and building confidence - great for beginners! It was an excellent workshop for beginners. Anyone who is a brand new learner or not very confident would enjoy this course. Worth mentioning it is based in a private space within a cafe so people can buy their coffee there. Cakes were nice but not necessary as we were concerned about dirtying the wool we were handling. The only downside was that we were not allowed to take home our samples which was a HUGE disappointment. Having said that, a great workshop and an excellent caring tutor. Great workshop with Jen. With her guidance we all picked up the basics of knitting (casting on and off, knit, purl) within the two hours. Delicious cake too! 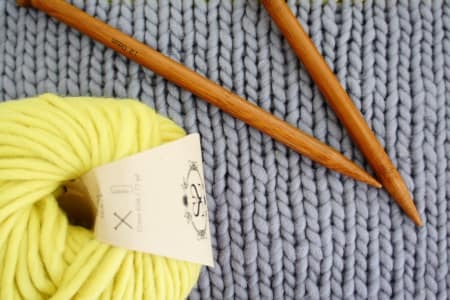 Hi Obby I am pleased to submit my review of the beginners knitting group I attended on Saturday 18th November in Holborn run by the tutors of Stitch and Story. I had a really good morning where I was able to learn various knitting techniques and felt most welcome by the tutors and the group who were all friendly and the atmosphere was really relaxed.The tutor took time to make sure I was understanding the instructions and helped me if I was having difficulty. During the lesson we were given cakes which were lovely and at the end of the session I felt really proud of how well I had picked up the art of knitting and what I had achieved. I have booked to attend again which I'm really looking forward to and I would encourage anyone to go along I'm sure they would be as impressed as I was. Regards Haroon Anwar. The course was really amazing. Nice place close to Covent Garden. Really funny and professional. Really enjoy knitting and the girls are really nice and patience. Definitely I will come back! The instructor was very knowledgeable, helpful and patient. She managed the group of 6 individuals with different starting skill levels and different rates of learning well. She could have been clearer at the start about where we would get to by the end of the class, to set expectations. I think the 'with cakes' should be dropped from the listing as they were not really a major element or selling point. To be honest I felt a little short changed as they were just one muffin and two tray bake slices cut up into small squares. I did expect to be able to take some needles and a bit of practice yarn home with me as part of the class, to help my continued learning. However, I had to purchase these along with any yarn and patterns. 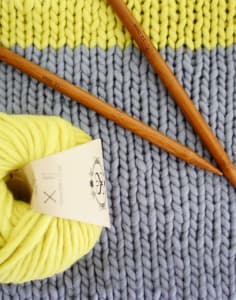 In fact, the instructor admitted that they reused the practice yarn each session, meaning that we were learning to knit with pretty rubbish, work out yarn, which made learning the techniques more difficult. The session felt a lot like a sales pitch, and too little like a real learning opportunity. They also seemed very interested in getting you to sign up to another class at the end, rather than really imparting the basics and leaving you with the ability to continue learning. I would have paid an extra £5-£10 if I got a pair of needles (don't have to be the fancy bamboo ones) and a bit of practice yarn to takeaway. Had a great time. The teacher knows a lot and you can learn at your own pace. A wonderful day; knitting finally clicked for me. Quay was a wonderfully patient and calm teacher. I've been knitting every day, since. Thank you.